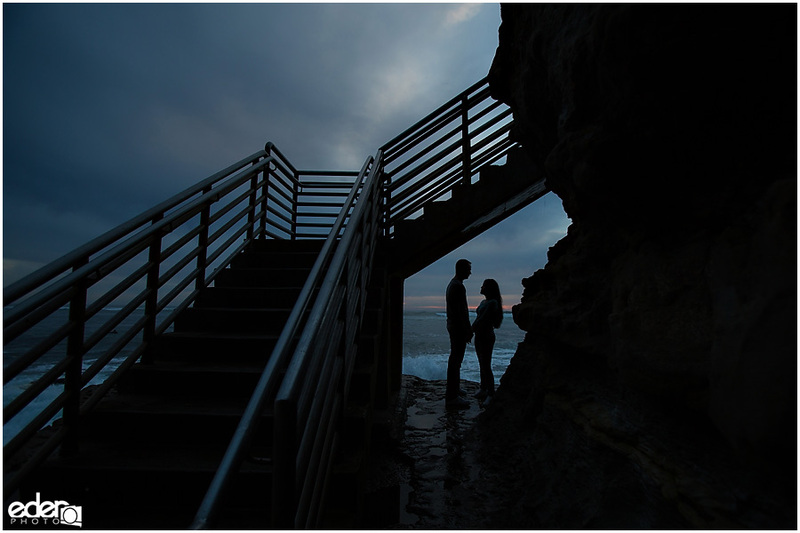 Courtney and Chris traveled to San Diego for their engagement session so we had to pick a location that was epically unique to the city. 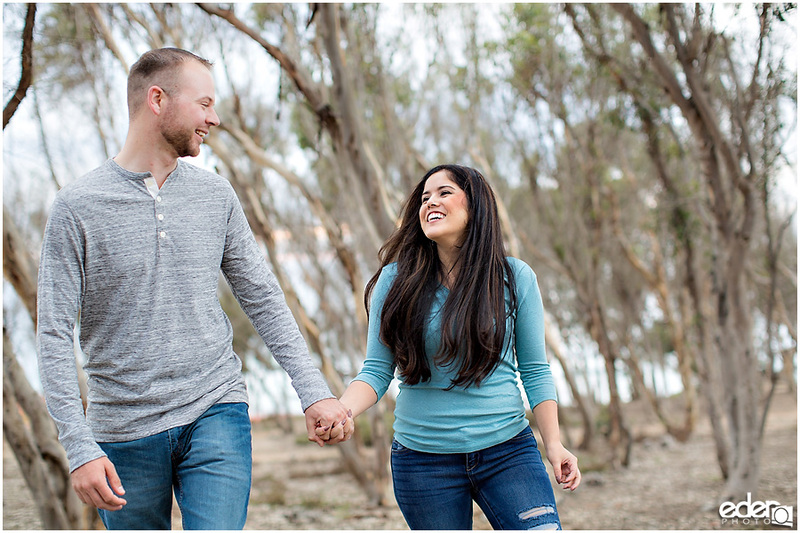 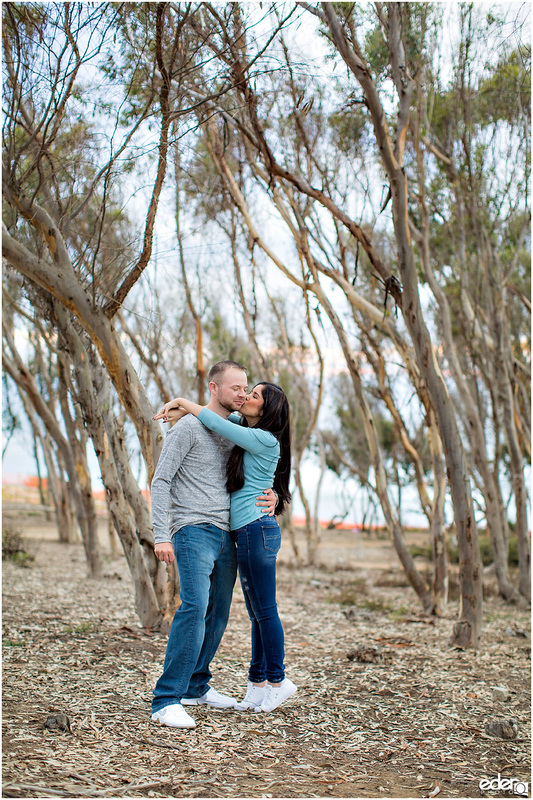 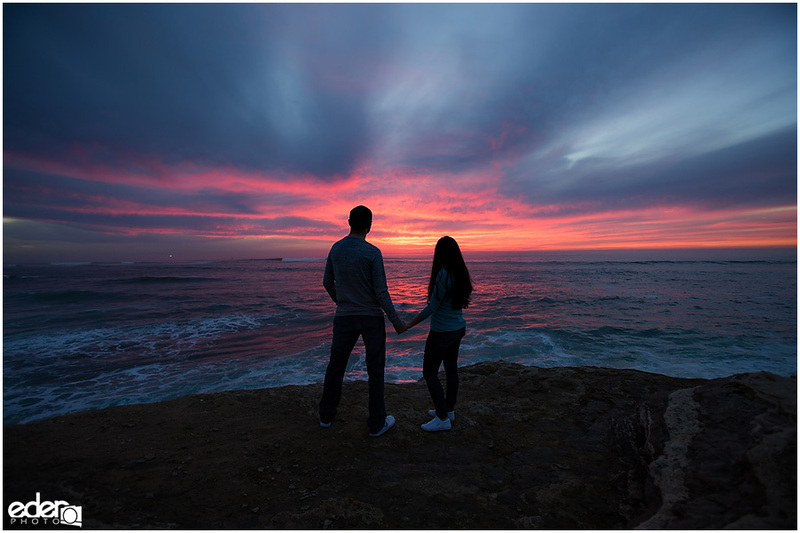 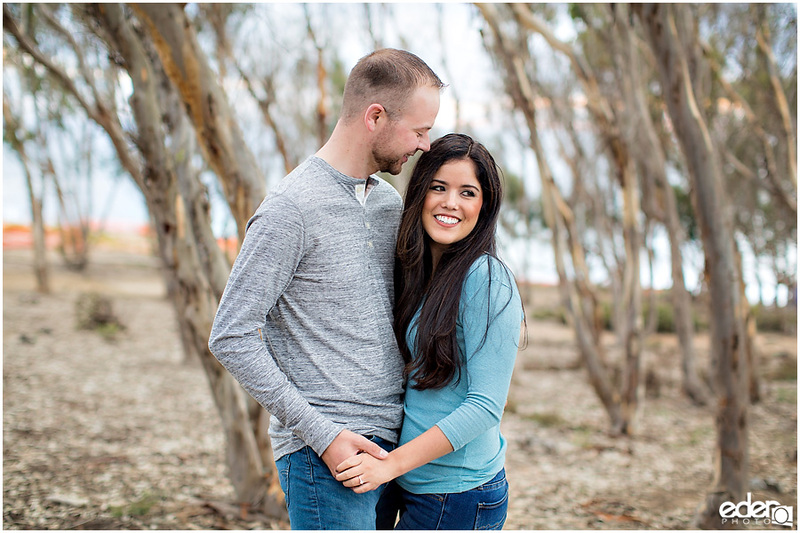 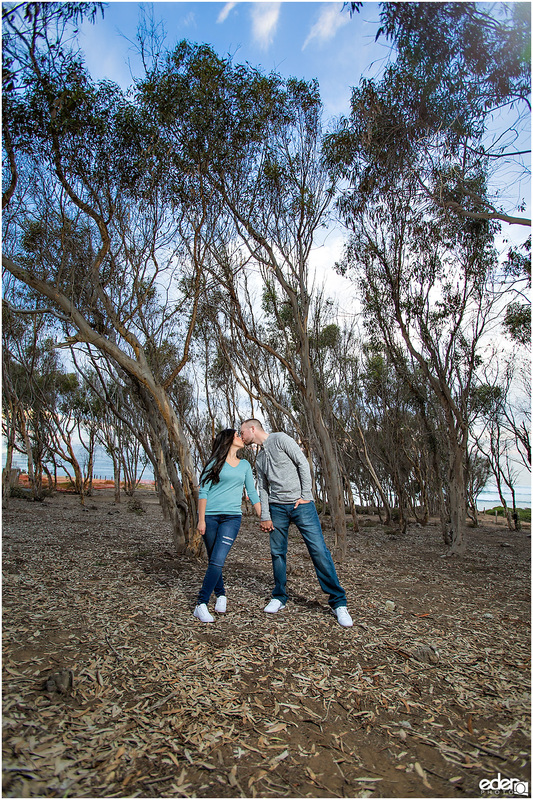 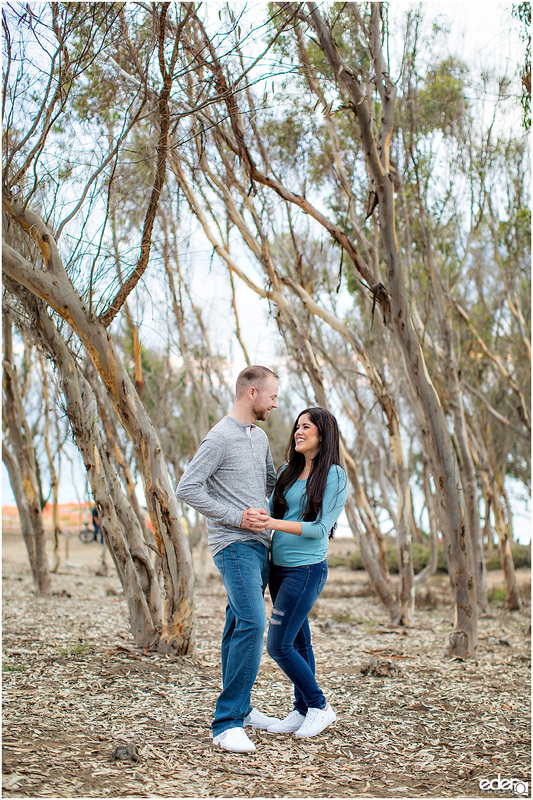 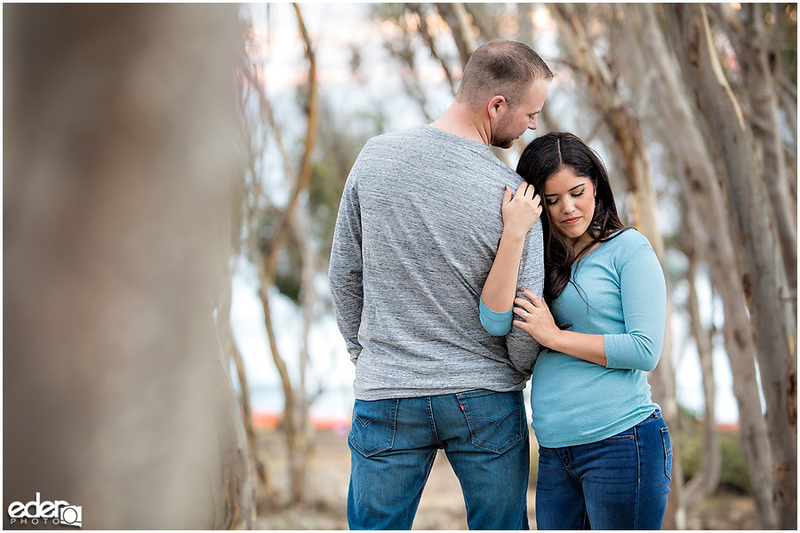 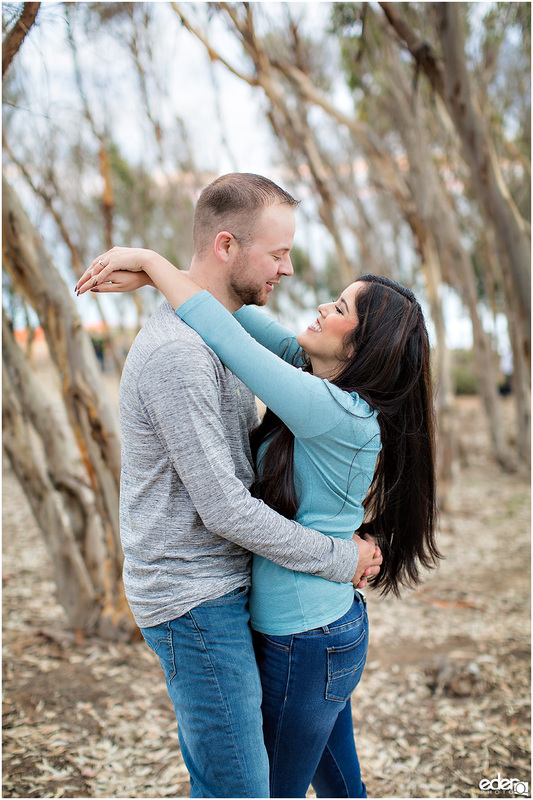 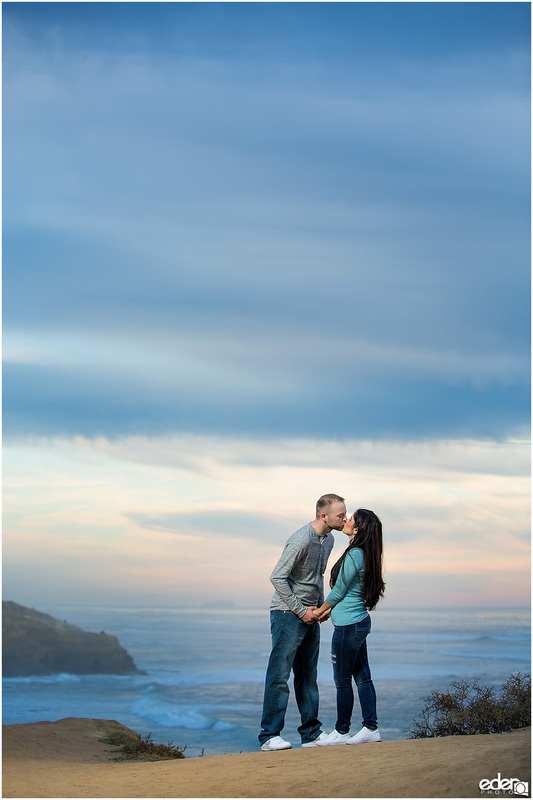 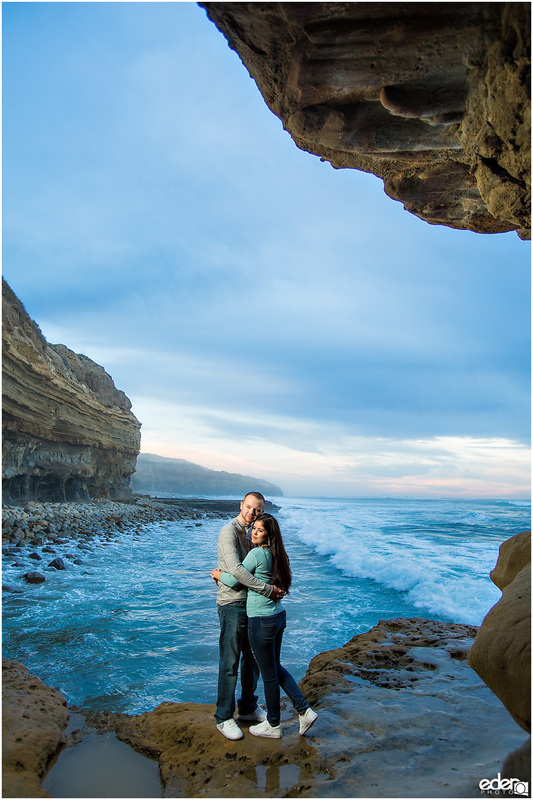 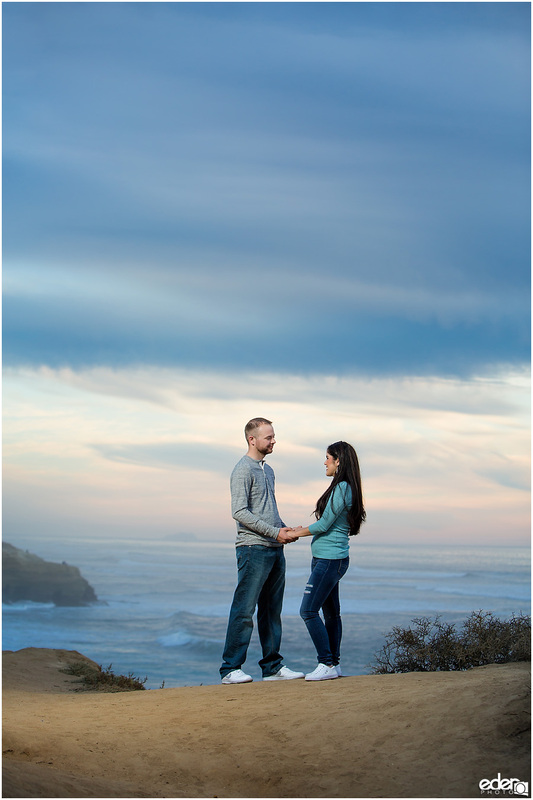 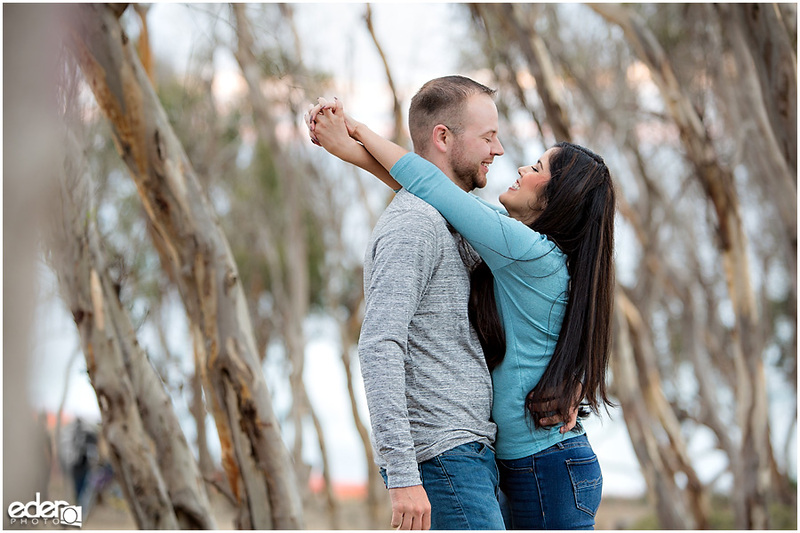 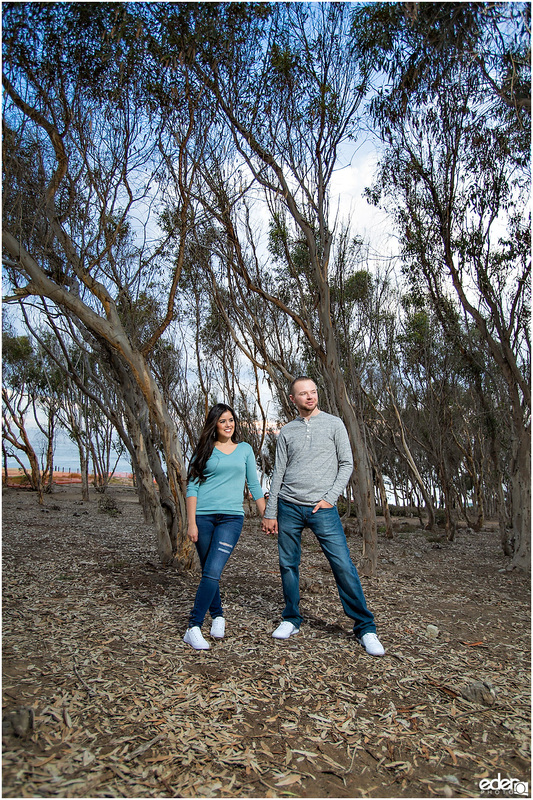 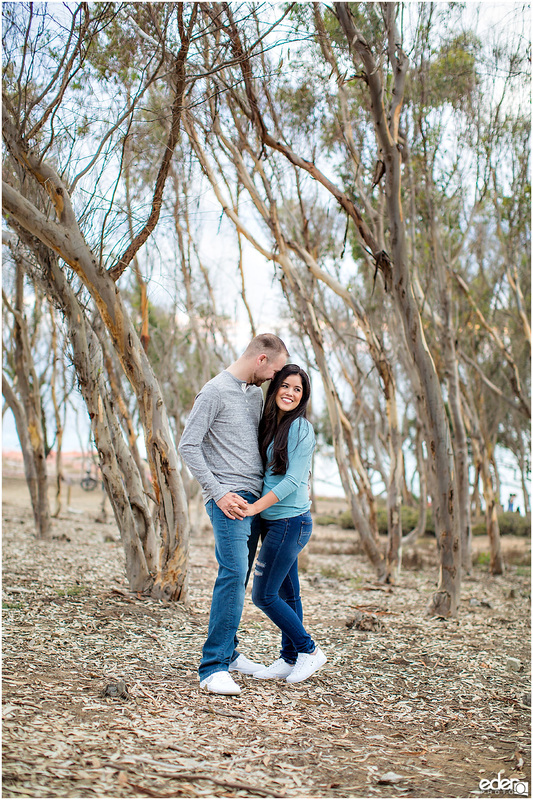 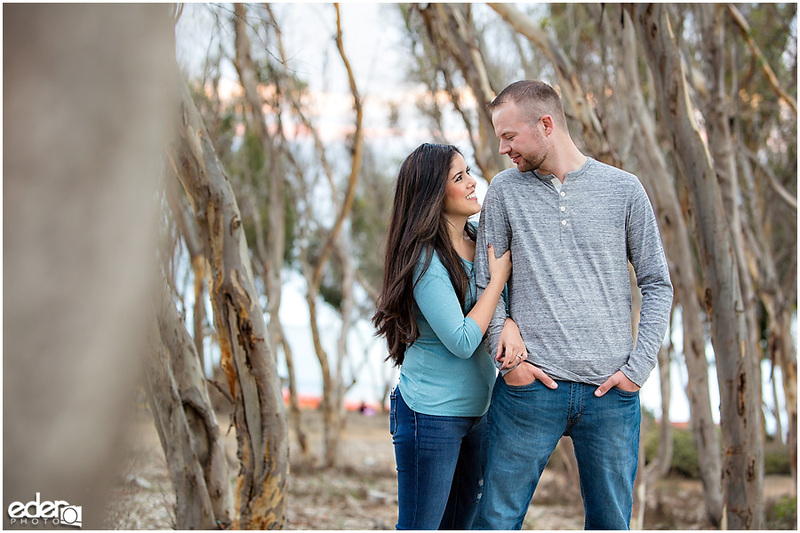 We started their Sunset Cliffs Engagement Session with a quick stroll through the eucalyptus grove. 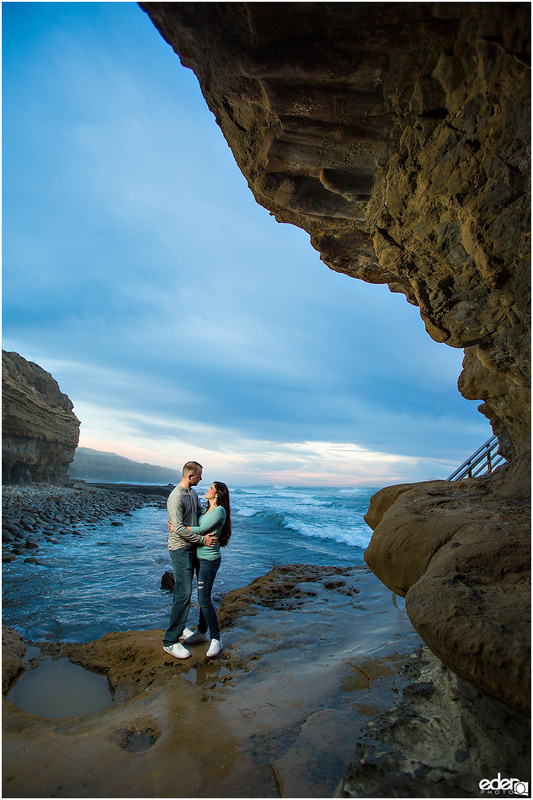 The grove was a nice secondary location for the cliffs since it provided a unique background that can’t be found anywhere along the Sunset Cliffs coastline. 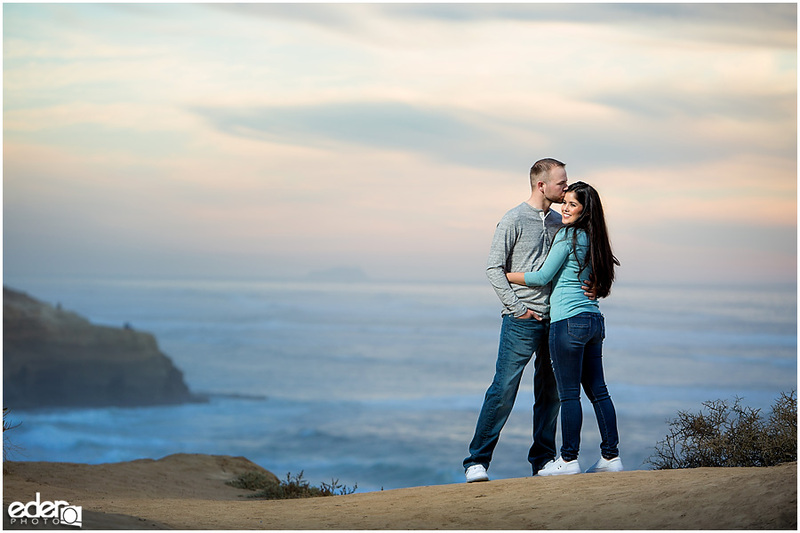 We had overcast conditions that day with a small break in the clouds which created beautiful soft light. 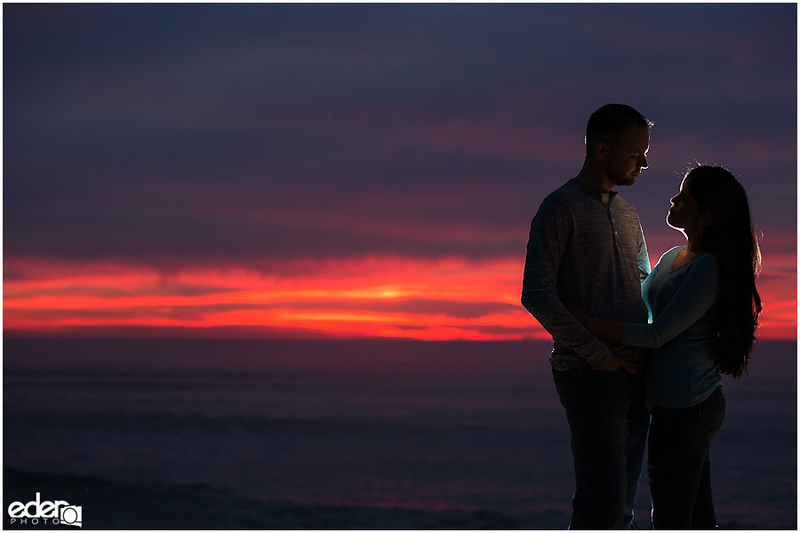 The break in the clouds also allowed for a little bit of color in the sky that painted a beautiful scene. 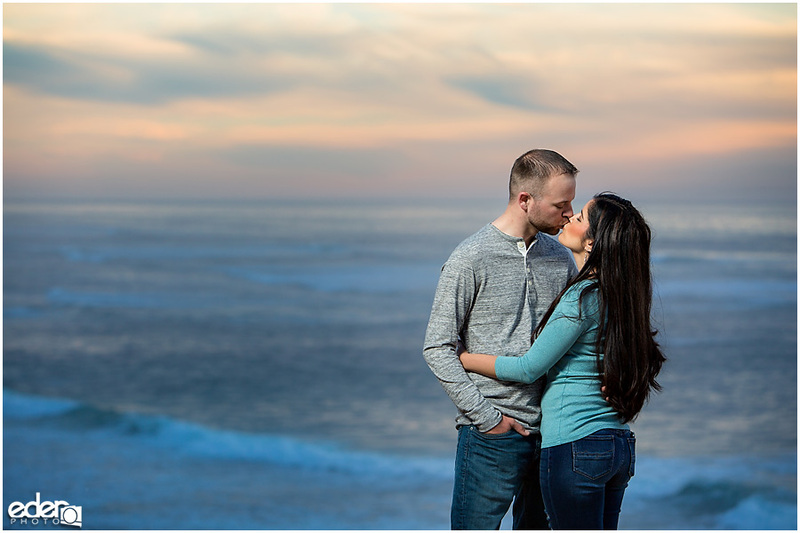 It was just a tiny bit of color on the horizon but with a super zoom telephoto lens we could compress the scene and make it feel like the color was right behind them. 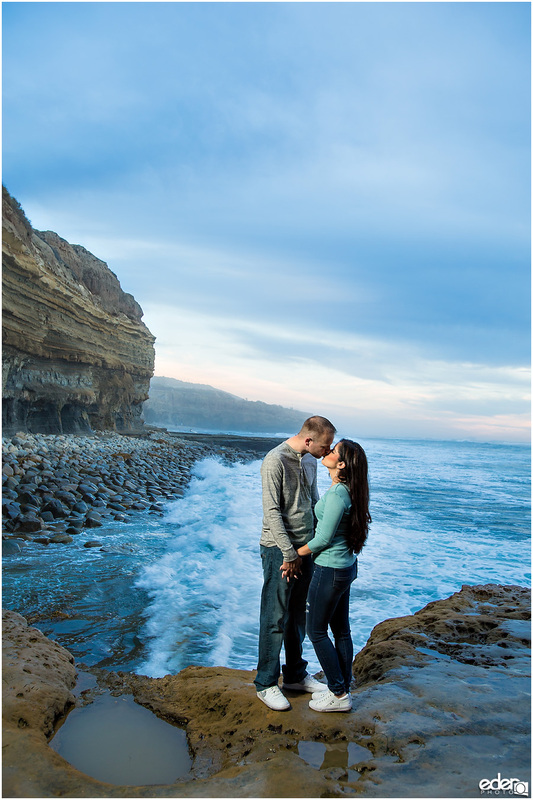 For the last part of the session, we walked down the Sunset Cliffs Stairs to the beach below. 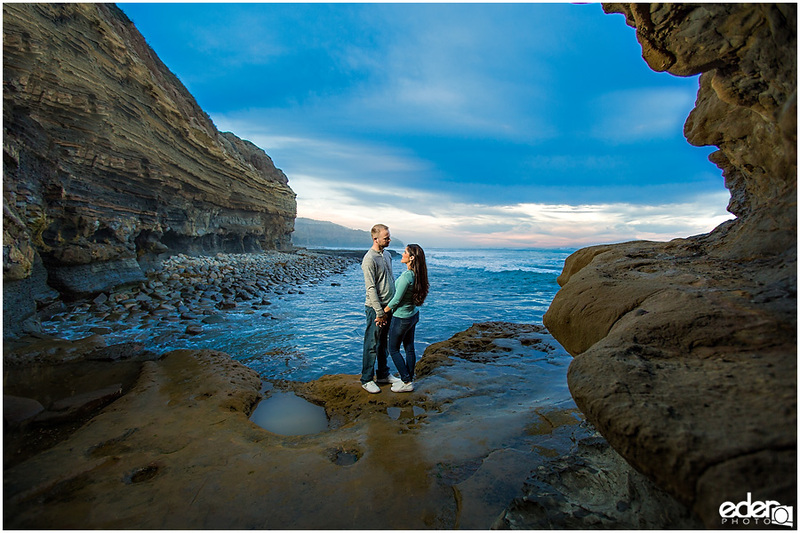 We created some of my favorite photos from the session down below with the walls of the cliff framing the images. 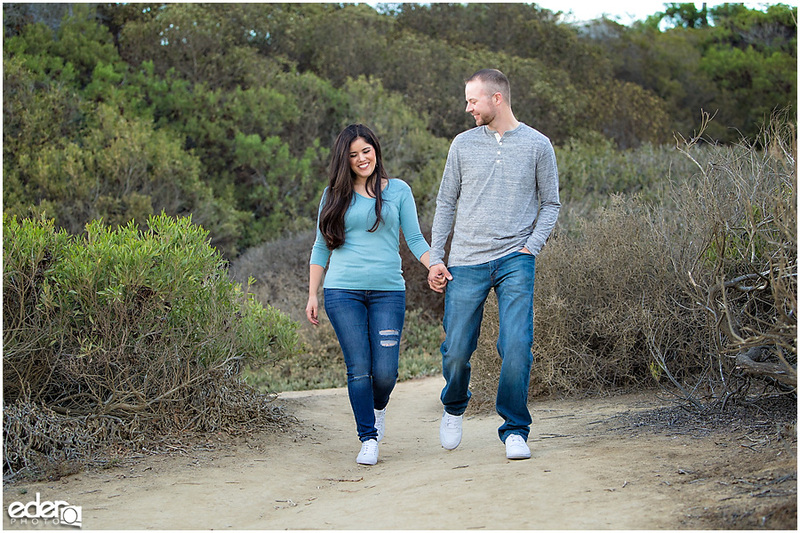 The location can be a little tricky since it is wet and slippery but Chris and Courtney had fun with it and we created some fun engagement portraits. 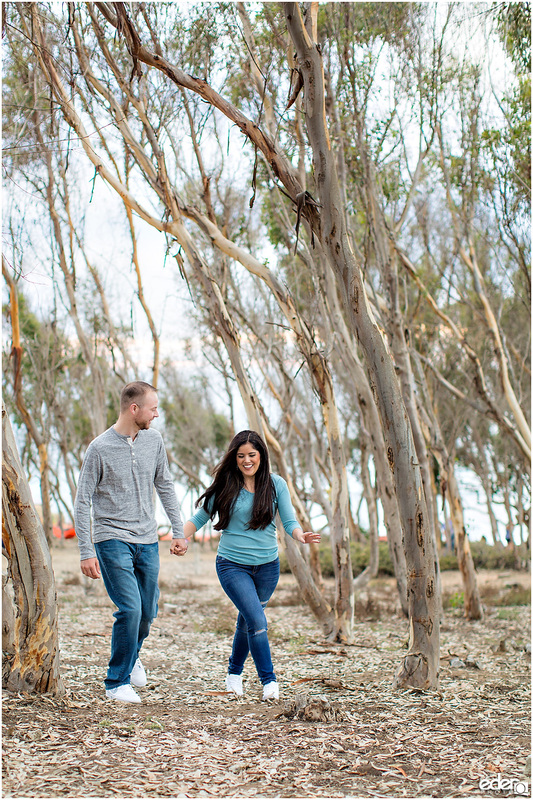 Update: The eucalyptus trees have since been removed to restore the native coastal sage scrub and maritime chaparral habitats endemic to the area.